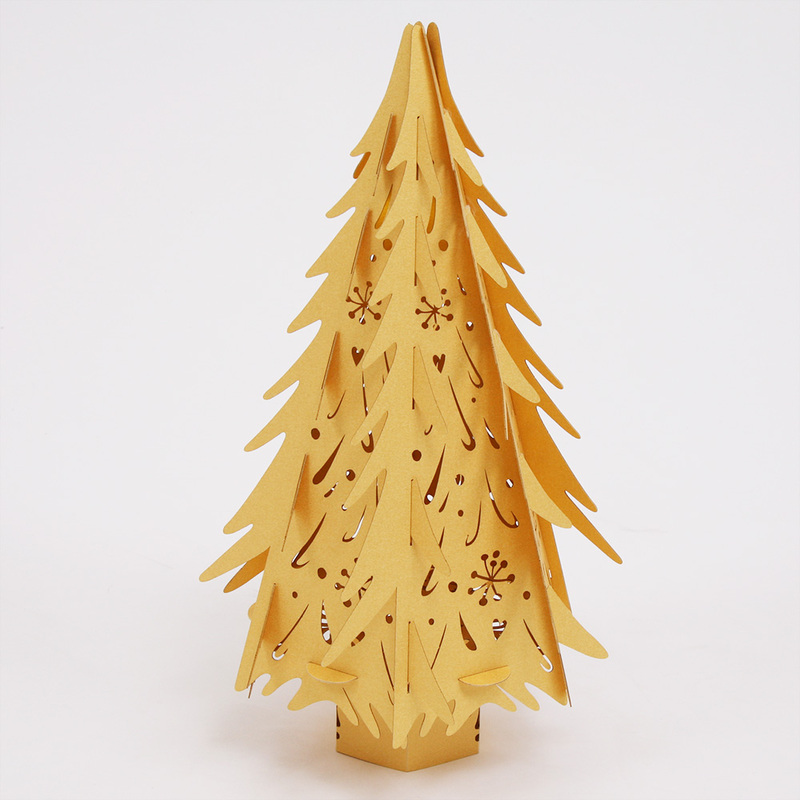 Wow your family and friends this festive season with our sophisticated Gold Christmas Tree. 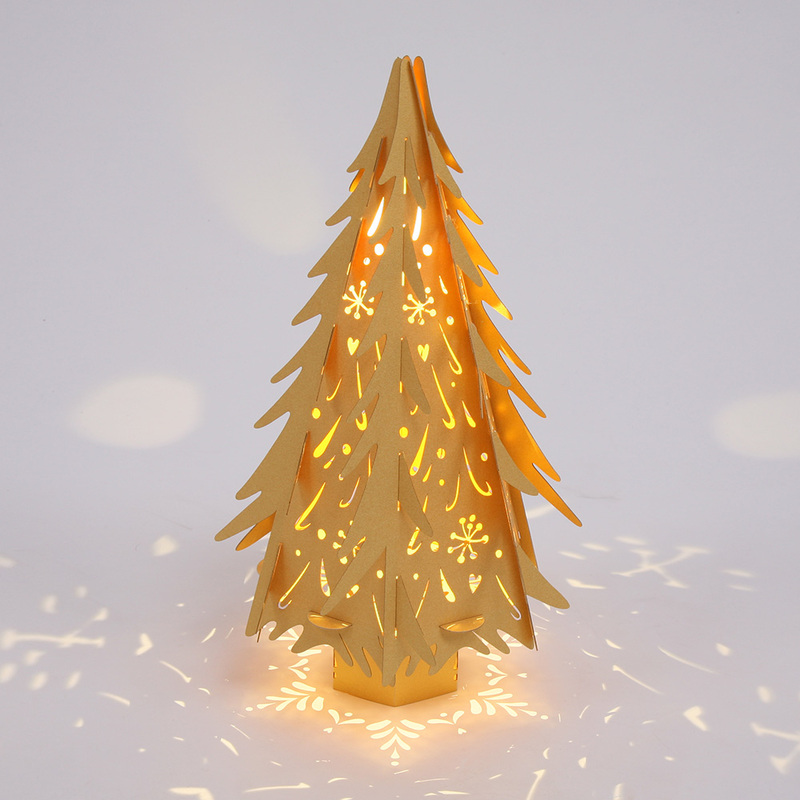 This beautiful product is made from the finest British FSC certified papers and will add a special dash of magic to your Christmas decor. Hang it using the ribbon provided or simply stand a few on the table as a stunning centrepiece. There is no adhesive required as each panel slots neatly into the next providing a very quick and easy way to assemble your tree. Add the finishing touch by inserting and turning on the buttonlite included. The shadows cast throughout the tree will illuminate your chosen venue making your décor a definite talking point. Why not place a cluster of three small gold trees around your fireplace at home to add a touch of sparkle to your cosy winter evenings. We even offer candle flicker buttonlites to mimic the flames of your log fire. This small Christmas tree measures approx. 36cm high and comes with a length of complementary ribbon for hanging. If you require a unique pattern or logo applied to this or any of our products, please drop us an email at studio@hanginglanterns.co.uk. Incudes LED Buttonlite and gold ribbon.